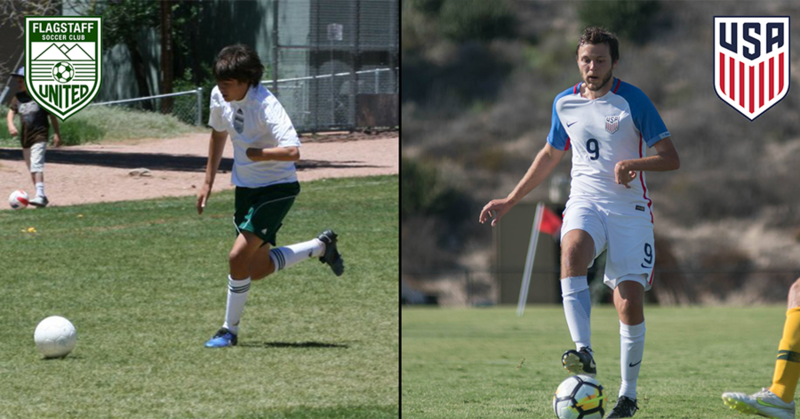 Wednesday, October 17th, 2019 -- The International Federation of Cerebral Palsy Football (IFCPF) Copa America is set to kick off next week in Ecuador and Flagstaff's John Sullivan has been named to the U.S. Paralympic National Team. Sullivan played eight years for Flagstaff Soccer Club and recently graduated from the University of Arizona. He has been capped 6 times and has scored one goal for the U.S. Paralympic National Team. The U.S., ranked #4 in the world, has been draw into Group B which featured hosts Ecuador, Argentina, and Venezuela. Group A features Colombia, Chile, Canada, and Brazil. The U.S. will face Venezuela on Saturday October 27. Then they'll play hosts Ecuador the following day before wrapping up group play against Argentina on October 30. The group winners and runner-ups will advance to a winners bracket which will be played on November 1. Winners from this match will advance to the final on November 3.